Our class teacher is Miss Mitchell. Our teaching assistant is Miss Mercer. 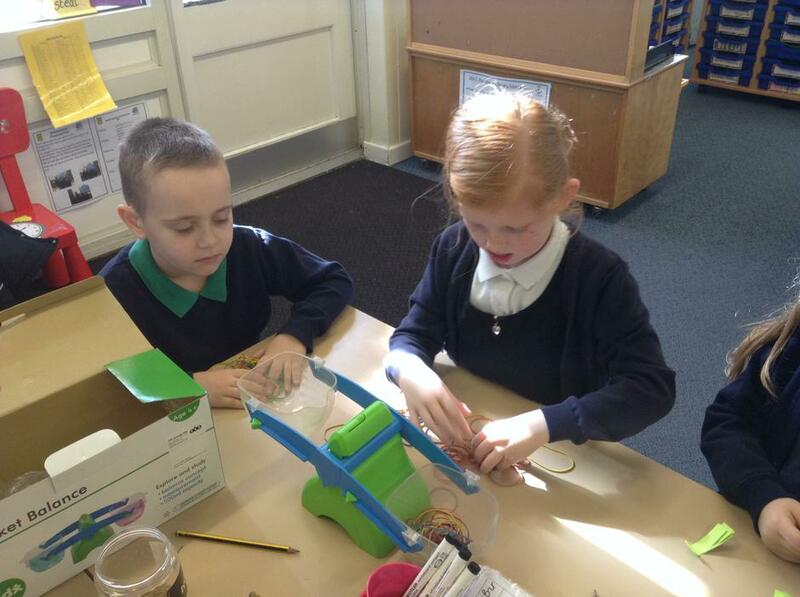 In Tiger Class we always try our best and have a go even when it's tricky. 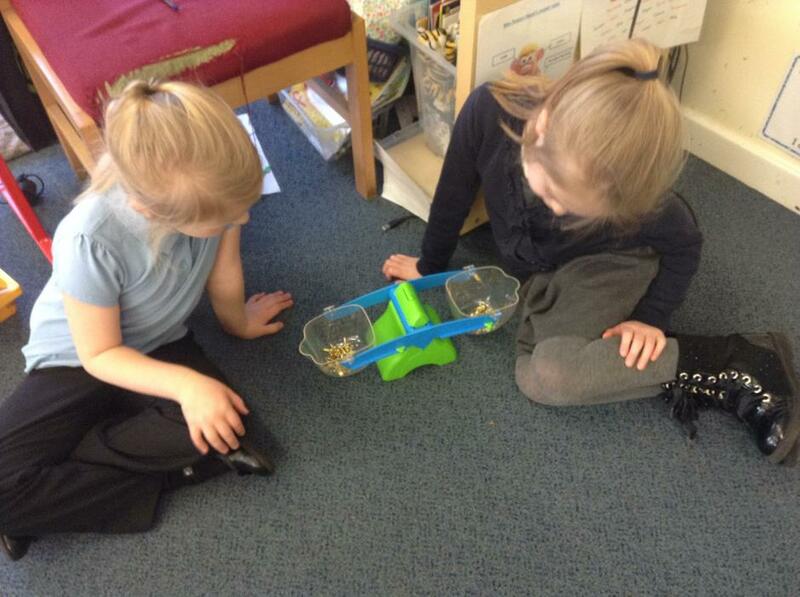 We love a challenge and understand it's ok to make mistakes, that just shows we're learning! 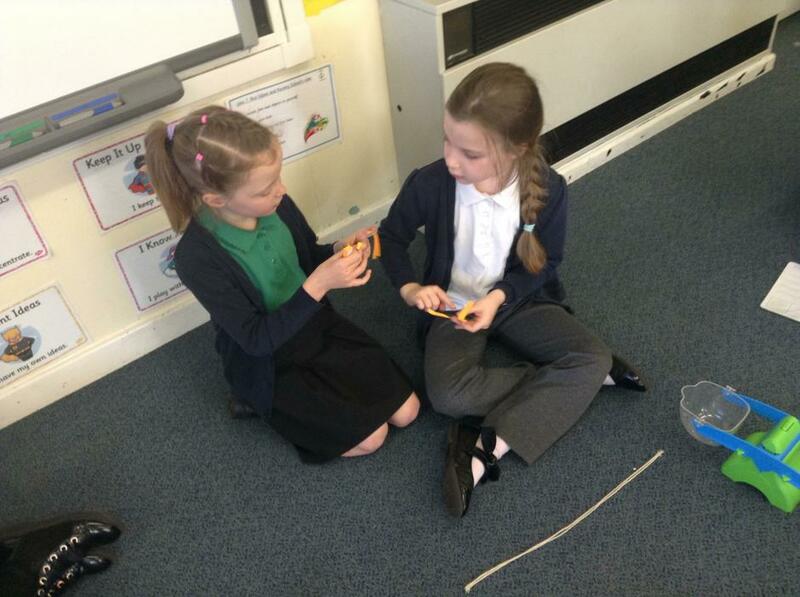 We are kind to all our friends in Tiger Class and we like to help each other. We're all superstars! 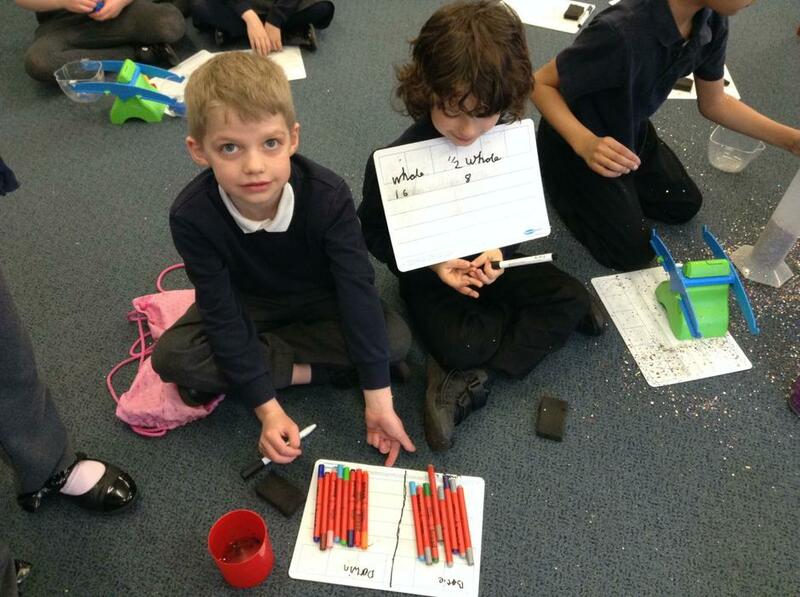 When learning about fractions we practiced finding a half of a range of things. 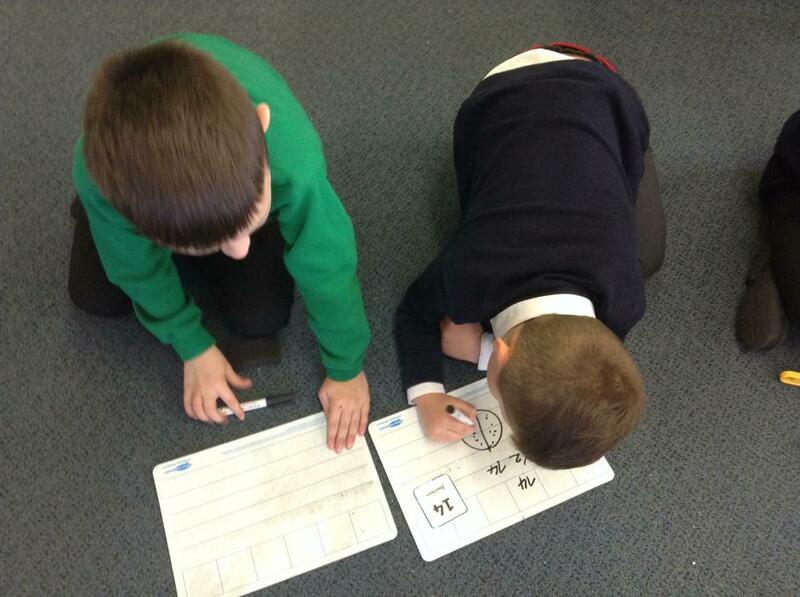 We had lots of fun in Maths finding the 2D shapes that make up 3D shapes! PE Days: Tuesday and Thursday (Children should bring have their PE kit in school. If you child has earrings please remove them or provide your child with plasters). Homework is given out on a Friday and needs to be returned the following Wednesday. 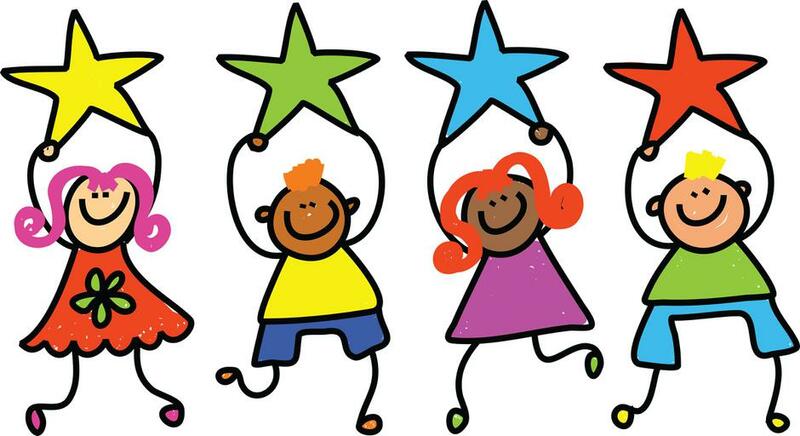 Children who return their homework on time will receive a sticker and a mark on the class homework chart. Reading Books: Your child's reading book will be changed once a week. Our class reading chart will be displayed on our classroom window and filled in when your child reaches one of the milestones in their reading diary. Allotment: We will be visiting the allotment Friday 14th September, weather permitting. Please make sure your child has appropriate clothing and suitable footwear. What is exciting about where we live? We will be learning about our local area, Robin Hood and Sherwood forest. We will also be visiting Sherwood Forest where we will learn more about the legend of Robin Hood. We will be reading lots of non-fiction texts about Robin Hood and Sherwood Forest. In our writing we are going to practice using contractions and conjunctions when writing a fact sheet about Robin Hood. We will also be writing a letter about what's exciting about where we live to George from the story The Smartest Giant in Town. We will be learning all about the plants. We will learn about the parts of a plant and different types of trees. In Art we will be practising different techniques such as making tones of colours to help us paint a picture of a plant. 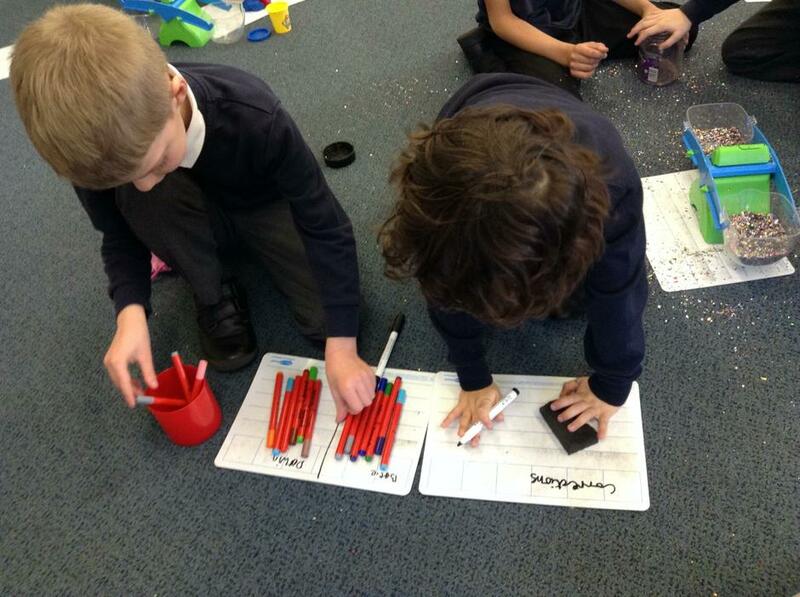 We will be learning how to use Purple Mash and create work related to Robin Hood and Easter. In PE we will be learning of to play hockey and performing a dance related to a story. We will also be learning about Robin Hood and Sherwood Forest in History. Healthy Me! We will be discussing what being healthy means and the different ways we can look after our bodies. .
Phonics Bloom Factory Practise adding different suffixes to words. 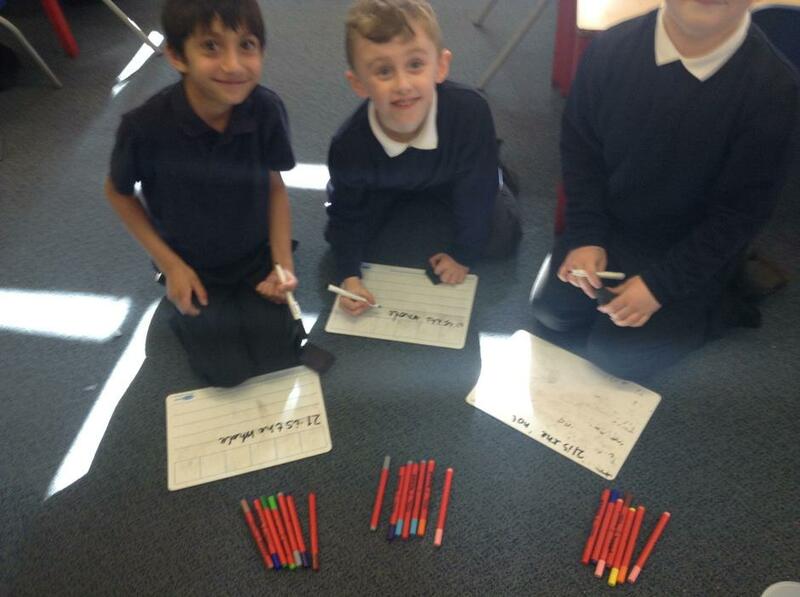 Mental maths train Practice adding, subtracting, dividing and multiplying numbers. Education City Use your username and password to acces a range of fun games! 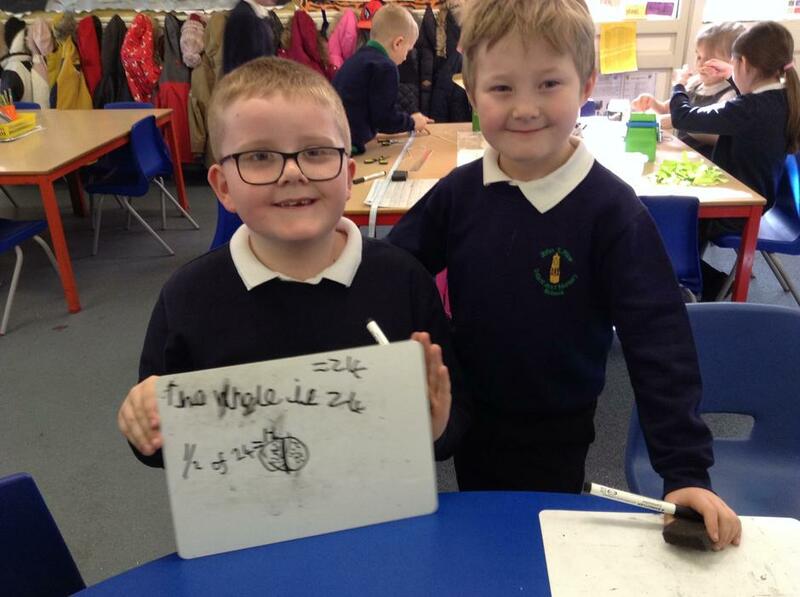 BBC bitesize KS1 Use your Maths, English and science skills! Conjunction Bubbles Choose the right conjunction to complete the sentence. We had a visit from i-Jump who helped us improve our jumping skills.